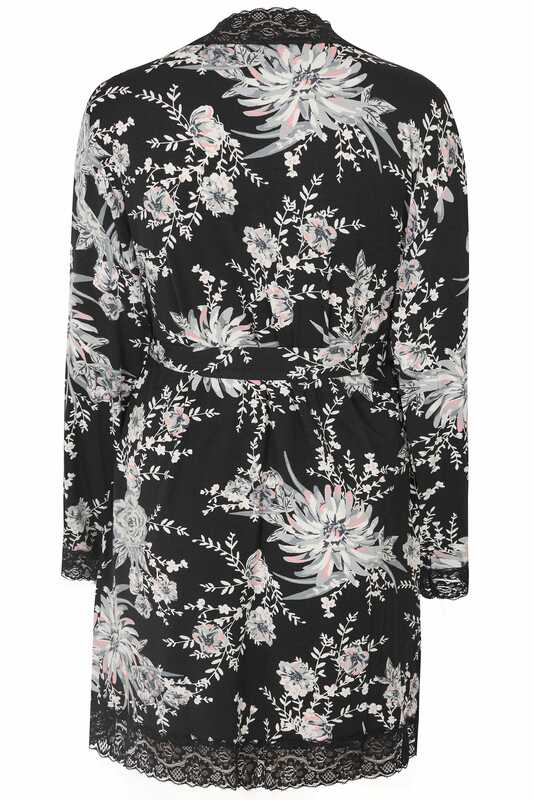 Keep your loungewear collection updated with this elegant robe. The perfect around-the-house option, it is made from a soft-touch jersey fabric and boasts a flourishing floral print with pops of pink and finishes with a lace scalloped trim. Ideal for layering over your casual favourites and teaming with the matching set.